Nine suspects of a major Turkish holding company linked to the July 15, 2016 defeated coup were convicted on Thursday in southeastern Turkey, according to judicial sources. In the Naksan Holding case, nine people -- including former CEO Cahit Nakiboglu and his family -- were sentenced to jail terms ranging from two to 15 years, according to the sources who spoke on condition of anonymity due to restrictions on speaking to the media. The suspects tried at the 5th Heavy Penal Court in the Gaziantep province faced several charges, including "managing an armed terror organization, financing terrorism, whitewashing incomes originating from crimes and opposing tax law." Osman Nakiboglu and his son Bahaeddin are members of the Nakiboglu family in Gaziantep; they used to own the Naksan Holding that comprises of more than 50 companies operating in various sectors such industry, energy, construction and transportation. 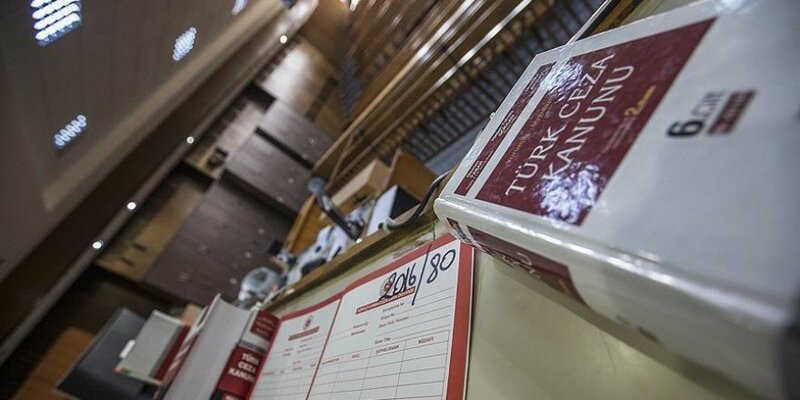 Later, a Gaziantep court appointed a trustee board at Naksan Holding after the coup attempt. The Nakiboglu family is known to be a long-time supporter of the FETO terror group and has been accused of transferring large sums of money to the group through its Naksan Holding. The family members have assumed various leadership positions at the Naksan-linked companies.